I wasn’t sure how comfortable you’d be with me placing your name in the article, but thanks for your comment Mark and you’re very welcome! Thank you very much Mike, it is a very useful resource. I have now added the link into the post. This is an interesting question. As @lylamccay was writing during the week, much of what we see about the use of twitter etc is still’socil media 101′ – when do we start to move past this to talk about how to really do things? I hunk that posts like this are great first steps. It would be great if Mark told us more about what the public health campaign is actually about so that we could perhaps tease the problem out a little more. The use of social media for health is a practice, and since we are distributed we need to share our learning, ideas and successes as much as possible. Thanks to both of you for sharing this so far. Well – I have to respond to Anne Marie Cunninghams question – as lots of people have responded to this excellent post from Salma. We spoke about a number of things. One of the areas that I am interested is how small voluntary and communtiy organisations can use social media (like twitter) to give commissioners a view of what their service is like. I am aware of two examples here – Sedgemore CAB – which ran a ‘tweet week’ and RNIB which ran a tweet day. In both cases they tweeted an annonymised summary of what each new client was presenting with. This struck me as a potentially powerful way of communicating the impact and pressures on a service – in a way that involved little resource – but would give commissioners a good understanding of what the service was doing, who they were seeing etc. I am very interested in other ways in which social media can be used to get data across to commissioning and needs assessment processes such as the the JSNA. So if anyone else has any ideas get in touch! 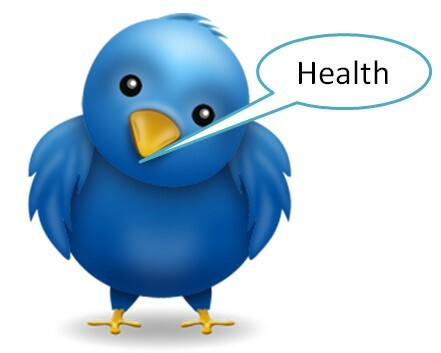 @salma_patel’s post about creating a Twitter health campaign: http://t.co/LZ2PWHZh The tips apply to Twitter beginners in any discipline. RT @pennwic: @salma_patel’s post about creating a Twitter health campaign: http://t.co/LZ2PWHZh The tips apply to Twitter beginners in any discipline. Good document.Twitter as a form of networking can be used by doctors to reach many users of social media.This enables marketing of their services.